Richard Hursthouse is chair of North Shore Branch of Forest & Bird and Centennial Park Bush Society. He is passionate about raising awareness of pest plant issues. A slow train wreck has been unfolding across the country for decades while politicians sit on their hands. 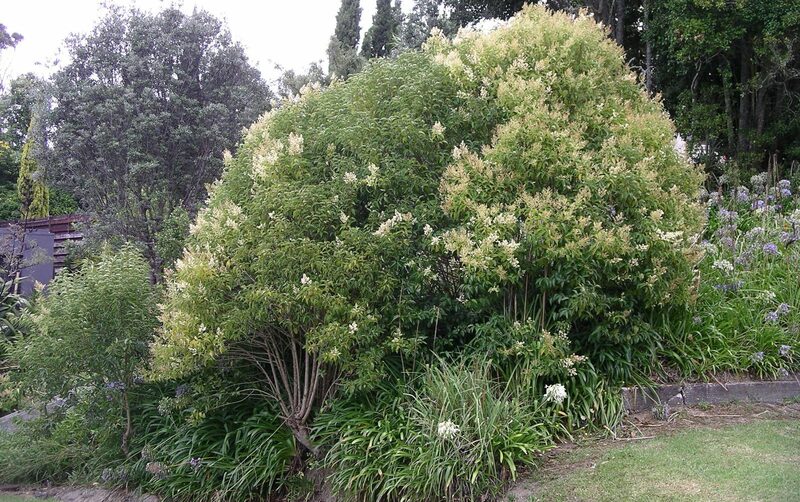 New Zealand has a major and rapidly worsening issue with wildling conifers. Generally these conifers are one of ten species which have been naturalising for years. In line with normal weed spread dynamics their spread is now expanding exponentially. They are said to cover 1.7 million hectares already and expanding at a rate of 5% per annum. Their density in affected areas is also increasing and some areas are now thick with conifer forest. These pines are replacing native ecosystems, reducing groundwater supplies, increasing the risk of serious wildfires, and adversely affecting our iconic tourist landscapes. 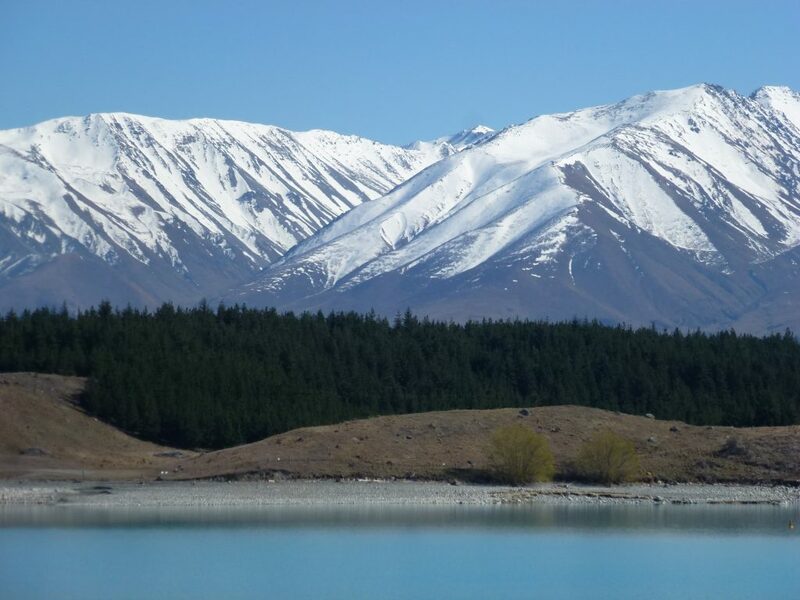 When I last visited Lake Pukaki in the 1980s there was a small plot of conifers on the shore of the lake and a few wildlings downwind. Now there are continuous forests of wildling pines, mostly Pinus contorta, on both sides of the lake. Each of these mature trees is a seed source for thousands more. The iconic tussock country is being overtaken with juvenile conifers visible on tussock land. While there is evidence of some pine clearance and control work, it is only scratching the surface of the problem. I live in Auckland where the main weedy pine is Pinus pinaster plus some Pinus radiata. In the 1970s volunteers ring barked dozens of these in our local bush reserve. Their inspired foresight means that forty years later, the pines have mostly rotted away and native bush is thriving. Now, for Health and Safety reasons, we are not permitted to ring bark any more pines. Numerous volunteer organisations are tackling this issue around the country and New Zealand now has a Wildling Conifer Management Strategy. This is a non-statutory document which means it has no legal effect. The government recently announced a $4 million per year fund for wildling conifer control. This is not even going to scratch the surface of this problem. The cost of managing wildling conifers should not fall entirely on the taxpayer, the ratepayer, volunteer groups or those whose land is being overrun by conifers originating elsewhere. 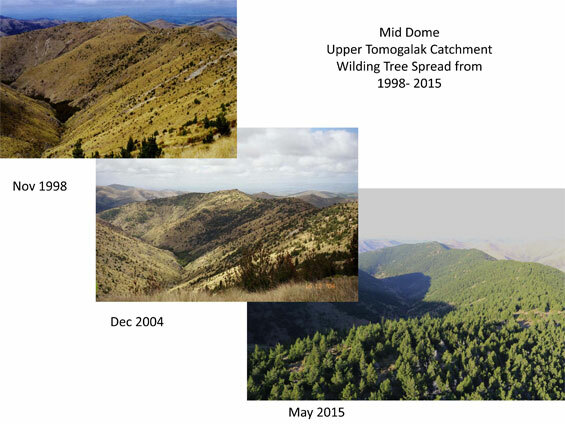 Wildling conifer spread in 1998, 2004 and 2015 in Mid-Dome, Southland. Photo: DOC. What we need is a properly funded plan to eliminate these trees from the landscape. This includes removing all the adult trees from public and private land. This could be funded from a levy on all plantations of conifer species which are known to spread naturally. Small pines can be pulled out or cut down. Most do not require herbicide to be applied to the stump. Medium sized pines can be ring barked. The addition of herbicide gel to the cut will increase the kill rate. Killing standing pines (if safe to do so) is a better approach in a native forest restoration setting. Pines can also be drilled and herbicide injected into the holes. What to use and how much can be found online or you could consult your local experts. Bark can also be sprayed with basal sprays such as X Tree Basal which contains triclopyr. Commercial operators are applying these herbicides by helicopter. Richard is the chairperson of Forest & Bird's North Shore Branch. Having recently moved from Queenstown this post resounded strongly with me. I was shocked at how much the wilding pines had been allowed to spread before the council were willing to take action – in just a few decades entire hillsides of native alpine plants had been dominated by conifers! Thank you for shining a spotlight on this important issue.